The ability to ensure your child has the most positive dental experience possible means having a variety of ways to help your child feel comfortable during dental treatment. The Paulsons are specially trained in the administration of oral sedatives to assist fearful/nervous, young patients with the comfortable completion of their in-office dental treatment. 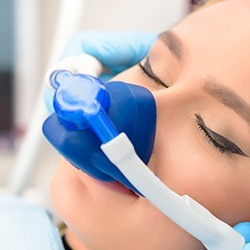 In-office sedation provides Dr. Paulson with the ability to complete a moderate amount of dental work on a fearful (possibly non-cooperative) patient while he/she is sedated comfortably. The goal of our sedation strategy is mild sedation, where the patient is awake but comfortable and care-free. An added benefit to the types of sedatives we use are their ability to act as an amnesic. 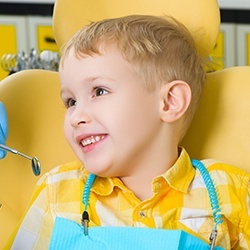 Often times, your child will remember having some dental work done but won’t remember specifics about the procedure hurting or being particularly difficult. Our goal is never for your child to fall asleep for dental treatment, as this could be dangerous. The safety of your child is our number one goal, so the Paulsons carefully dose the amount of sedative required for each patient. We have over 40 years of combined experience sedating pediatric patients. Both doctors have advanced training in airway management, drug reversal, advanced pediatric life support, and emergency management (PALS and BLS certified). Our oral sedatives are administered in-office. We have a comfortable sedation room where the patient and his/her family can relax and watch movies, read books, or draw on the chalkboard while the sedative takes effects. Read Our Oral Sedation Handbook-Coming soon! We can also use nitrous oxide (laughing gas) to help children relax with or without the use of oral sedation. For this, all a child has to do is inhale the colorless, odorless gas through a small nasal mask to start feeling completely calm and happy in the dental chair. The mask will stay on the entire time, and the gas’ effects will wear off almost as soon as we take it off, enabling them to go straight back to their normal routine. Explore your options for pediatric sedation dentistry by contacting Casper Children’s Dental Clinic today. Casper, Gillette, Evansville, Glenrock, Douglas, and surrounding Wyoming communities count on us for comprehensive and advanced pediatric dentistry…and we make it fun for kids, too! As a pediatric dental clinic, CCDC specializes in the comprehensive treatment of children under general anesthesia. Often times, children with special needs and very young children (2-6 years) require extensive dental treatment that would be taxing for the patient and parents if completed using standard procedures. Treatment performed while your child is comfortably sleeping creates less potential for fear of the dentist moving forward, a better treatment outcome, and the successful completion of ALL of your child’s dental needs in one visit. The Paulsons are credentialed at Casper Surgical Center and Wyoming Medical Center where a licensed anesthesiologist and full surgical team compassionately care for your child’s pre-op, post-op, and anesthesia needs. The highly trained staff at Wyoming’s second largest surgical center ensures your child’s overall health and well-being while Dr. Paulson and a team of assistants provide the dental care in a timely manner. Dental surgeries are outpatient procedures and usually only require a day or two of healing time. These procedures are a good way to avoid several appointments of shots in the mouth, a crying/screaming kid, and years of dental fear/anxiety that could prevent a child from seeking dental care in the future.